Social Media Planning Planning, Operations Management, Technology Commercialization, Public Safety - Keycare Ltd.
Keycare creates and leads powerful social media campaigns that build traffic, promote your brand and grow leads for sales with maximized ROI. Social media is people connecting with people… forming relationships for personal, lifestyle, and business use. Keycare will guide you through the process of developing and executing a comprehensive social media strategy. Keycare has successfully worked for blue-chip clients and built strong campaigns that drive traffic and build communities. Through our experience, we have developed programs using various social media tools across all forms of communication platforms, particularly focused to and used by your target demographic. Most of these mistakes are avoidable...we take the time to understand your wants and needs across the various social media mediums. 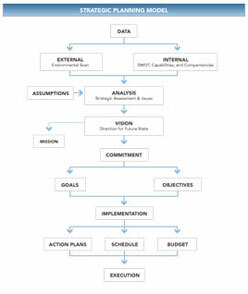 The strategy development portion of a social media campaign is crucial for the success of your program. You must ask and answer the appropriate and relevant questions to develop the right campaign: For example – What social media sites are your target market currently using? How much time is needed to consistently interact with your social media community? Customer Services: Use social media to handle customer service issues. Once your strategy is set, it's time to execute and implement your social media program. This is by far the most important part of social media marketing so it is of the utmost importance that you get it right.